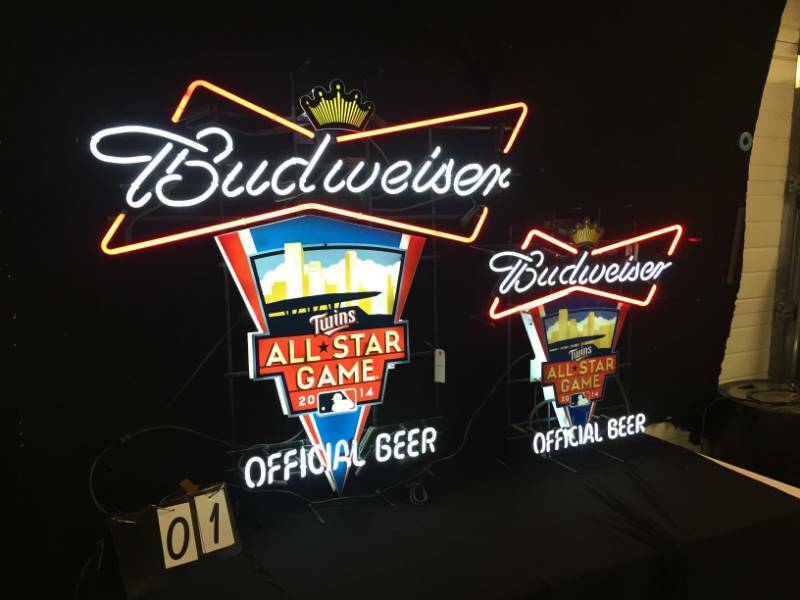 Budweiser Official Beer of the All Star Game. 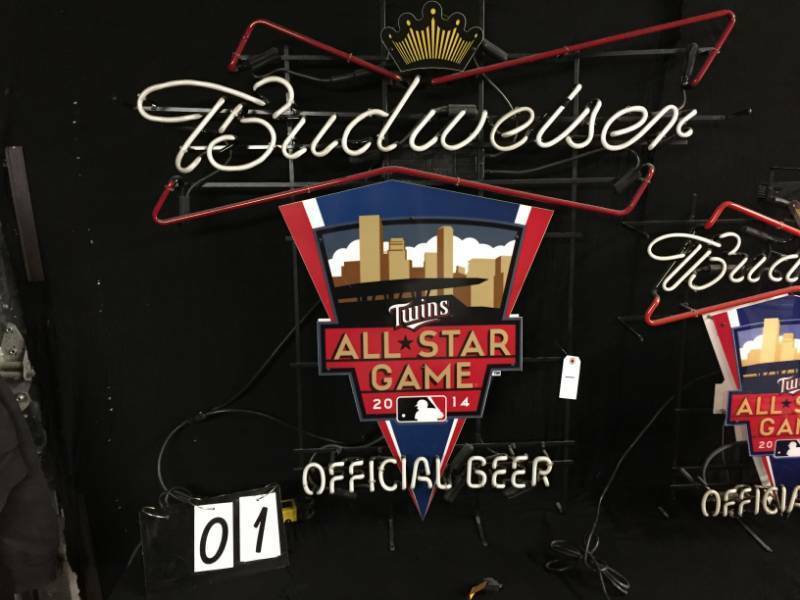 Large version of the Budweiser MN Twins 2014 Target Field. 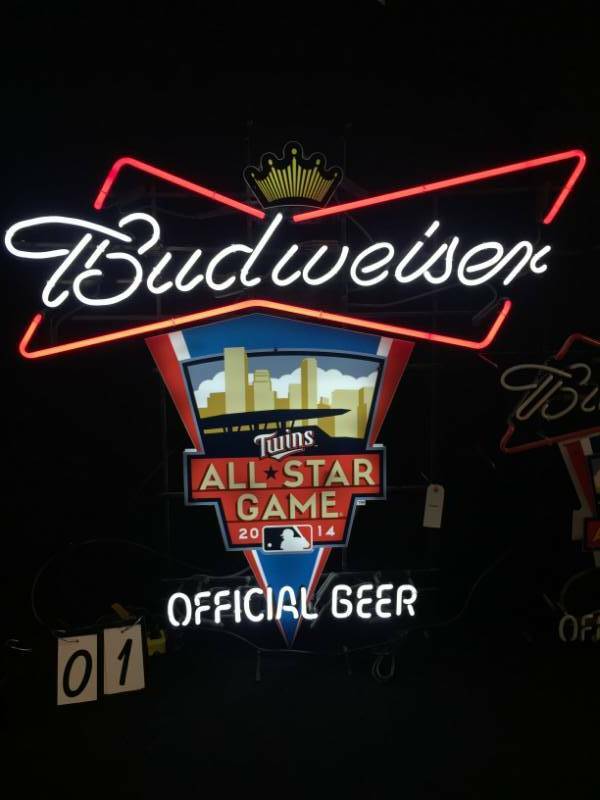 Sign is in excellent condition. 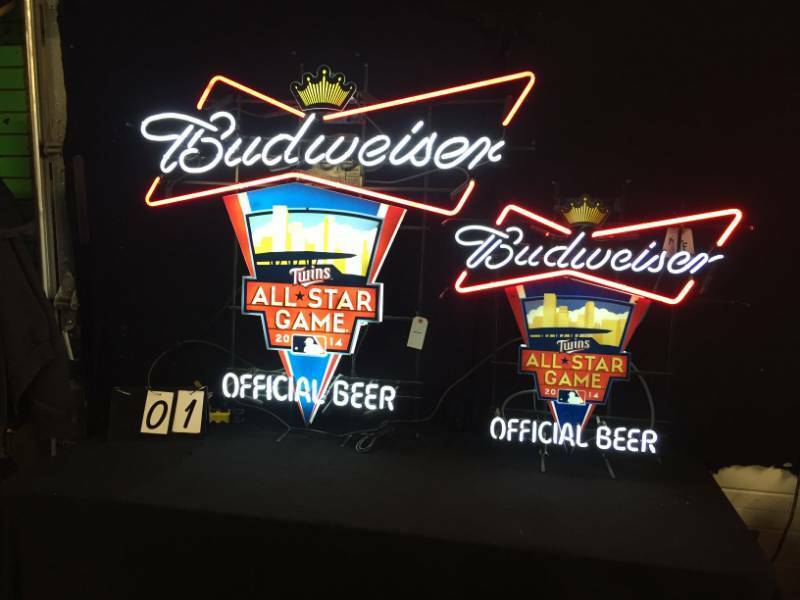 This auction lot is for the LARGER sign on the left ONLY. Smaller sign is pictured for size comparison only. The large version is approximately twice the size of the smaller version.